Quantifying soil organic carbon (SOC) stocks in forests and identifying	the factors that control their size is crucial to predict how they	will be affected by climate and land-use changes. 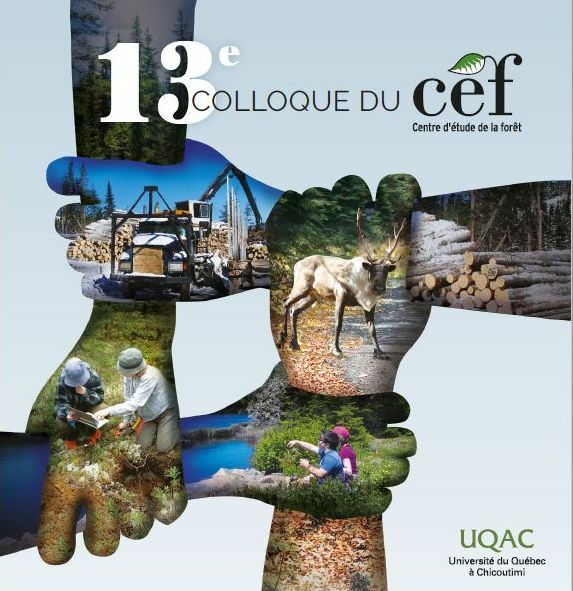 Here, we assessed	variations in SOC stocks in the forest floor (FF) and the mineral	soil of 21 temperate and boreal forest sites in Québec, and analyzed	their relationships with 13 biophysical variables. Across the studied	area soil C stocks ranged from 9.2kgm-2 to 27.8kgm-2 with on average	78% of this C located in the mineral horizons. Carbon stocks in the	FF increased with Mean Annual Precipitation (MAP) and the Percentage	of Conifers (Pc), and decreased with Mean Annual Air Temperature	(MAAT). Total and mineral soil carbon stocks increased with MAP but	were poorly correlated with the other variables mainly because of	the high variability in C concentration in B-horizons and mineral	soil thickness. When the latter was restricted to 50cm, the explanatory	power of the statistical model for total soil C stock shifted from	34% to 49%, illustrating the impact of soil sampling thickness on	C stocks estimates and on the ability to predict them. Regression	analyses showed that SOC stocks were mainly controlled by MAP. The	depth at which 50% of the mineral soil C stock is reached (D50) was	used as an index for the distribution of SOC across the soil profile. The D50 values ranged from ~2cm to ~40cm and increased with altitude	and Pc, and conversely decreased with the percentage of hardwoods	and MAAT. In light of the recent findings on the origin of C stabilization	in soils, these results suggest that these impacts on SOC distribution	might also affect the stability of the SOC pool. They also emphasize	the importance of sampling depth choice according to site characteristics	and the importance of the vegetation not only on FF C stocks but	also on C distribution across the soil profile. © 2015 Elsevier	B.V.